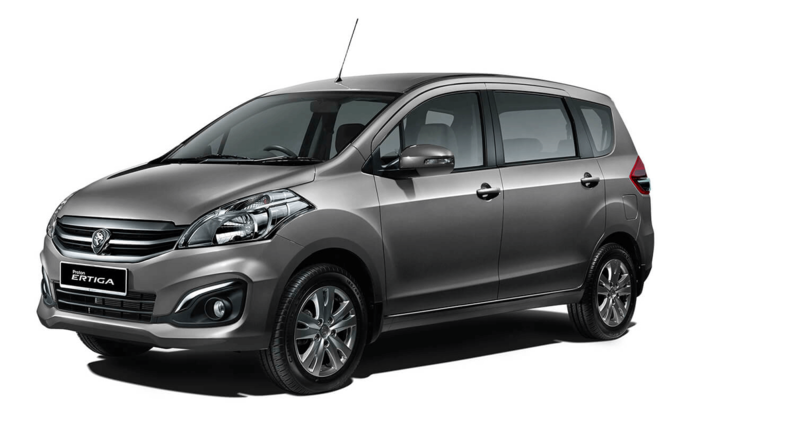 When life demands more, the Ertiga delivers without compromises. security so you can always be ready for your next adventure. Green design. Smart use of space. 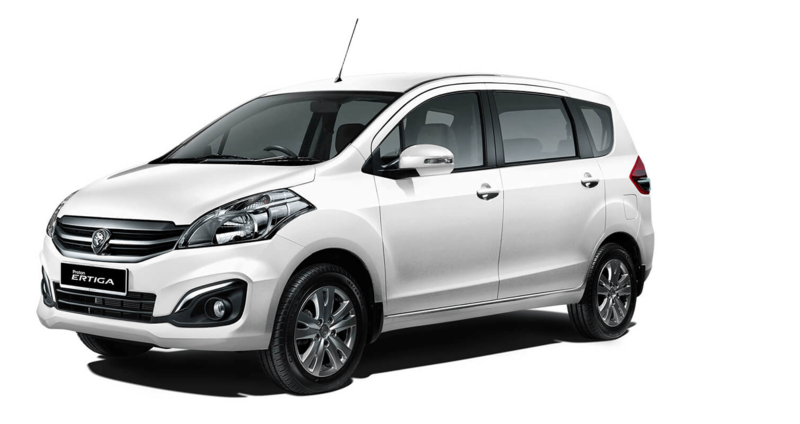 The Ertiga is designed with efficiency in mind so you can get more out of life’s adventures. When night falls and adventure calls, bright Multireflector Headlamps light the way forward. Switch on the Rear Fog Lamp when you’re driving in heavy rain or fog. It’ll be sure to get the attention of those driving behind you. A sporty roof spoiler rounds off the Ertiga’s tail end. An integrated brake light alerts other drivers when you slow down. Wherever your next adventure takes you, these stylish 5-spoke 15” Alloy Wheels ensure you stand out. GROWS ON YOU. AND WITH YOU. to its comfortable seats, every journey in the Ertiga makes it that much more enjoyable. All your essential controls are within easy reach inside the Ertiga. An intuitive centre console and informative instrument panel welcomes a worry-free driving experience so you can focus on the road. Recharge your devices on-the-go with a variety of charging options for both driver and passengers. For long trips and short ones, 6 Bottle & Cup Holders give you plenty of room to hold your favourite refreshments. Tucked away under the trunk cover is a Hidden Storage Compartment that cleverly gives you more space and security. The Ertiga will be by your side to take on your life’s next chapter. Its smart seating position makes efficient use of space to accommodate any situation. Stay cool wherever you sit in the Ertiga. Dedicated 2nd Row Air-conditioning gives passengers at the back a choice over how cool or warm they want the cabin to be. Getting to the 3rd row is easy with a convenient one-action walk-in mechanism. Simply pull the lever to tumble the 2nd row seat. Get a better view in the 3rd row with elevated stadium-style seats. There’s generous leg room so you can stay comfortable even on long trips. For those times when you need a flat surface or simply when you need to rest your arms, the Ertiga’s Centre Arm Rest helps reduce fatigue and enhance passenger comfort. No matter where you’re headed, safety comes first. Dual Front SRS Airbags help reduce impact in the event of a collision so you can drive worry-free. Your kids are safe in the Ertiga. Secure your child safety car seat with ISOFix anchor points for minimum movement and maximum protection. The Ertiga is always prepared for emergency braking situations. ABS and EBD help distribute brake force where needed to prevent skidding during sudden braking. Stretch your ringgit with a powerful 1.4L VVT Engine that’s designed to enhance fuel efficiency (5.7L/100km). Will Faz and Fairuz uncover the secrets of #ER3? BEGIN YOUR NEXT ADVENTURE IN THE ERTIGA.